More than three million people are expected to vote in the referendum on the Eighth Amendment today - and many of those have travelled from lands afar to exercise their voting rights. 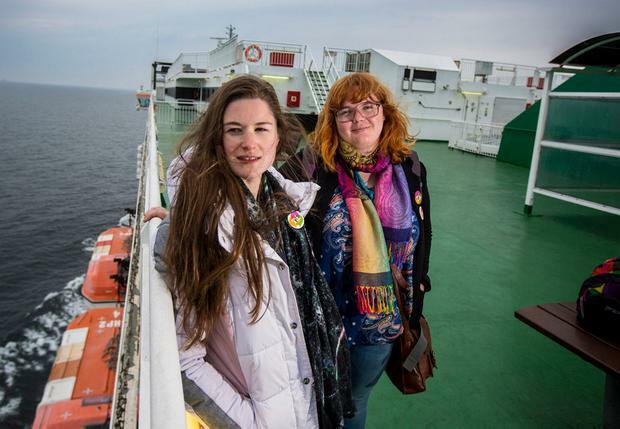 Thousands of Irish people have made the journey home from countries such as Australia, England and America to have their say on the highly divisive issue of abortion. The #HomeToVote hashtag is now trending worldwide, with news organisations across the world reporting on the efforts of our expats. Famous faces are also having their say on social media, with actor Russell Crowe encouraging people to vote Yes. "I have two beautiful sons . I wasnt lucky enough to have a daughter. If I had, I’d wish her to have courage like yours," he said. "Nobody’s daughter should ever be told she doesn’t have authority over her own body." Polling stations opened at 7am this morning and will close at 10pm tonight, and hundreds more are due to land on Irish soil today to cast their votes. Here are some of the emotional posts shared by people both young and old. I'm an American, and #hometovote is positively inspirational to me. Irish people traveling 10,000+ miles to vote, to participate in deciding the direction of their nation.